Shotwell 0.8.0 was released recently with a lot of new features and other improvements. Latest Shotwell digital photo organizer has extensive support for all major formats of videos which even include the support for importing of videos from your camera. 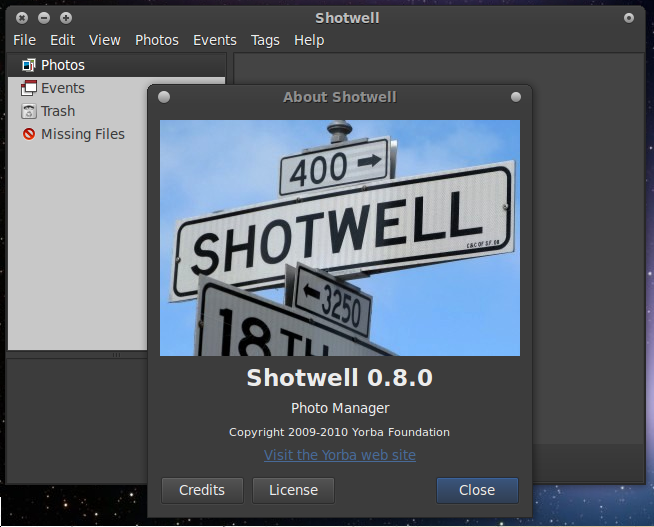 What's New in Shotwell 0.8.0? That screenshot above is obviously a showoff of Synapse launcher application which, I have to tell you, looks absolutely good with every theme and every single application. 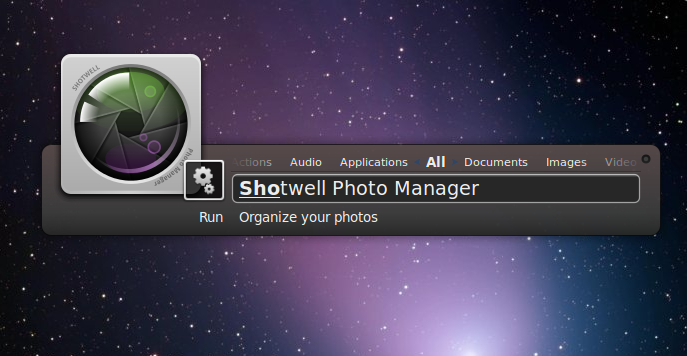 I like the way application icons are displayed while using Synapse, like Shotwell icon in the above screenshot. Latest Shotwell 0.8.0 comes with support for all kinds of video formats which include support for importing of videos from camera and adding them to events and tags. More integration with different multimedia related web services. Now you can publish videos and pictures to major web services like YouTube, Flickr, Facebook, PicasaWeb and the likes using Shotwell. Shotwell 0.8.0 also lets you set multiple photos to desktop background slideshow. How to Install Latest Shotwell 0.8.0 in Ubuntu Maverick? Add Shotwell PPA and upgrade. Do the following in Terminal. Done. Here is my upgraded Shotwell 0.8.0. Shotwell is basically all I need and it does have all the functionalities I expect, being a normal user, from a photo organizer and editing tool. Meanwhile, in the screenshot above, I was using beautiful new Atolm GTK theme, if you are interested ie.